Students and Metro staff pose in front of Hyde Park Station artwork designs, by Carlson Hatton. Local students provided photographs of the community, which were used as a resource for the artwork imagery. 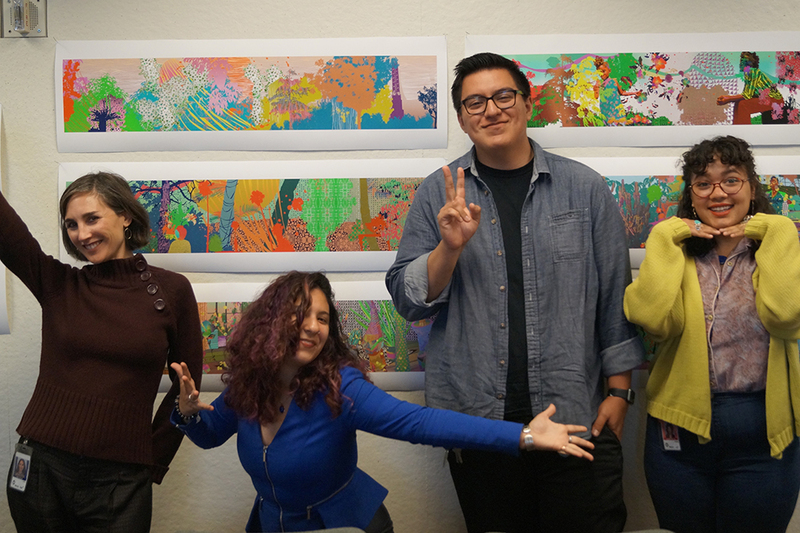 Students from the Crenshaw/LAX Transit Project area have been mentored by artist Carlson Hatton for more than a year as he crafted artwork designs for Hyde Park Station. Last week the students had the opportunity to visit Metro. They took a tour of our Design Studio and viewed the final cuts of a series of videos about the Crenshaw/LAX art program. (These new videos will be shown to the public soon, so stay tuned!) The students were excited to see their cameos in the video featuring the artwork for Hyde Park Station. Student Barbara Visconti points to the silhouette of an architectural landmark, adapted from a photograph of the neighborhood she provided as a resource for the artwork imagery. Students learn about the public art process with artist Carlson Hatton. Want to learn more about the artwork? 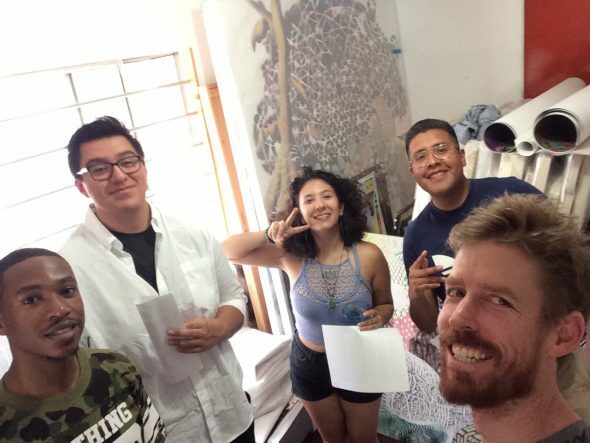 Carlson Hatton, along with artists Mobolaji Olambiwonnu (filmmaker), Rebeca Méndez (Expo/Crenshaw Station), Eileen Cowin (Martin Luther King, Jr. Station) and Dean Erdmann (Leimert Park Station), will speak about the artworks they are designing for the Crenshaw/LAX Transit Project on Friday, June 16 at the Museum of African American Art. The museum is located on the third floor inside the Macy’s at the Baldwin Hills Crenshaw Mall. 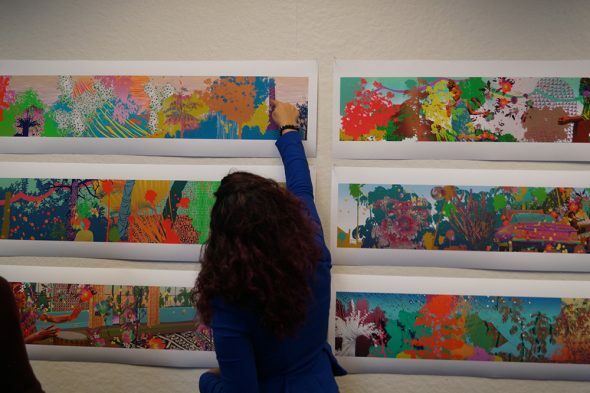 View the videos — the first group in the series was released and won an international award in 2016 — meet the artists, and interact with several of the students who plan to attend the event. The event is free and open to the public. Lunch will be provided and an RSVP is required to attend. Location: Museum of African American Art – (3rd Floor of Macy’s) 4005 Crenshaw Bl, Los Angeles, CA.